Nothing like leaning on a stack of shiny new books with your name on the cover! Having a book event in a ladies’ fashion shop was a little out of left field, but it was fun! Thanks to Alli Sinclair for joining me on my crazy adventure! 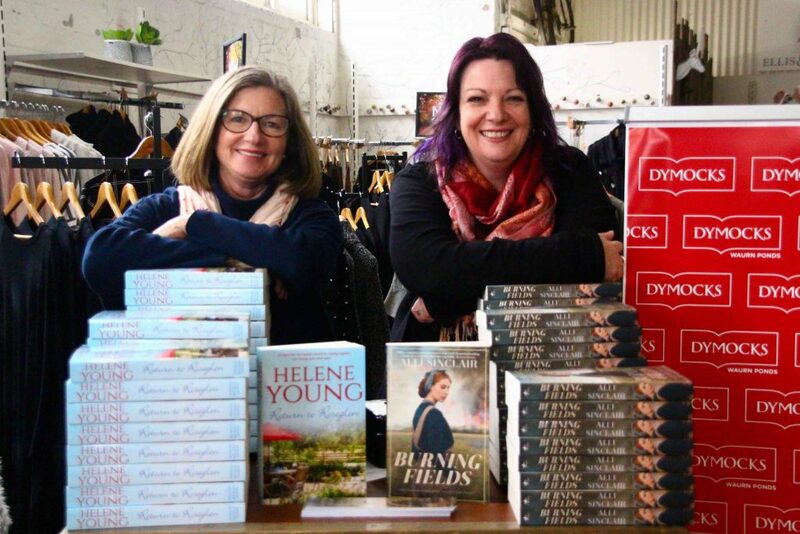 Grab a copy of her latest release, BURNING FIELDS! Thanks to Kaz and the ladies at The LABoratory, Pakington St, Geelong, for welcoming us into their shop. I hope we didn’t scare customers away! 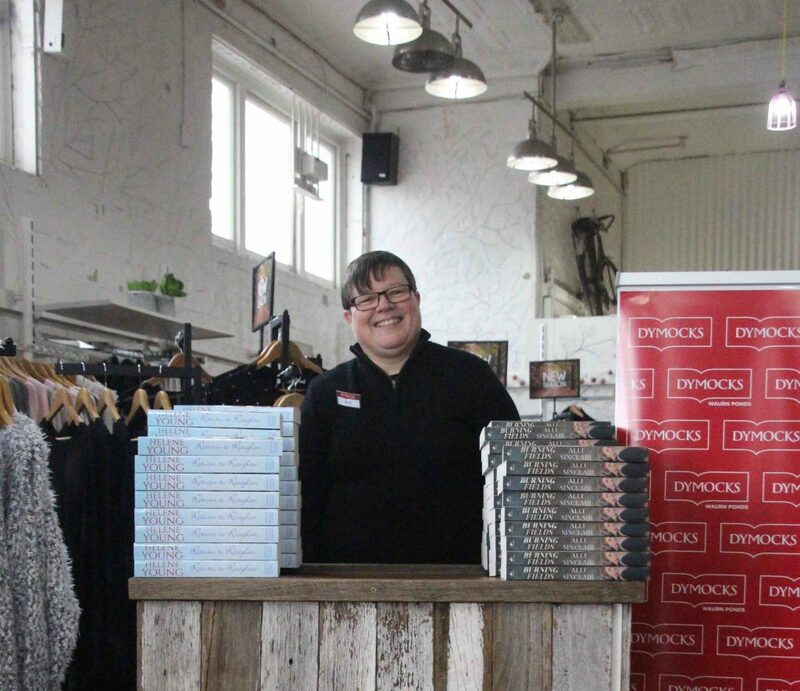 Julie, from Dymocks Waurn Pond, was amazing and cheerfully came along to support us, despite needing to pack for a conference on the weekend. It was also lovely to have the support of other writers – Lisa Ireland, Rebecca James (huge fan girl moment there!! ), Jennifer Kloester, Belinda Missen (look out for her new release A RECIPE FOR DISASTER) out as an ebook 7th August and in print later in the year), and Kathy Mexted – who started the whole crazy idea by taking photos of me in The Laboratory’s shop window! We then headed over the road to The Village Door Cafe for delicious food. Thanks to Alana and her team for looking after us. It was lovely to talk books with writers and readers, something that doesn’t happen quite as often now we’re living aboard! RETURN TO ROSEGLEN has now been officially welcomed into the world so once again my thanks to Ali Watts and the whole team at Penguin Books Australia for supporting, editing, distributing, promoting and believing in my story! 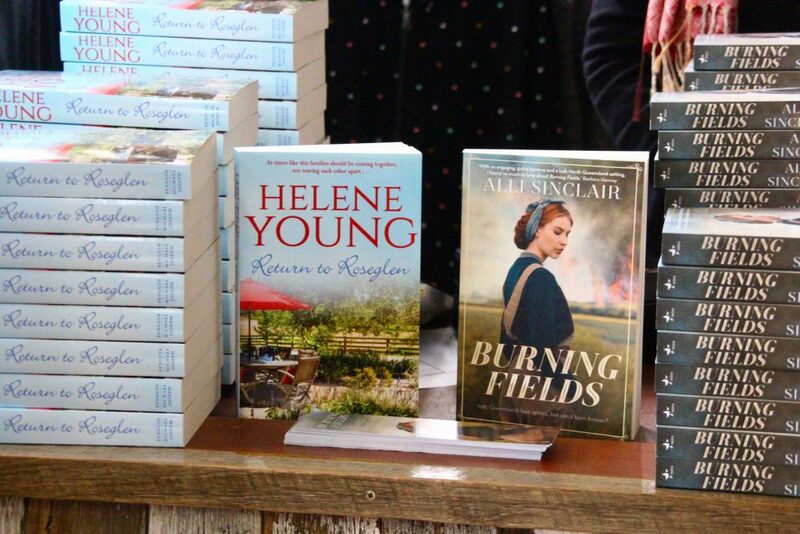 Blog #PenguinBookAus, Alli Sinclair, Book Launch, Booksellers, Burning Fields, Dymocks Waurn Pond, Penguin Books Australia, Return to Roseglen. permalink. What a fabulous concept, I love it! And yet again a fabulous book. So much insight and feeling. Just loved it.